President Donald Trump signed an executive order Friday evening aimed at immediately lessening the economic burden of the ACA as Republican lawmakers work on a repeal and replacement plan. Here are five things to know about the scope of the executive order. 1. The order offers broad guidance. It authorizes states and agencies to make changes "to the maximum extent permitted by the law," which is somewhat limiting. 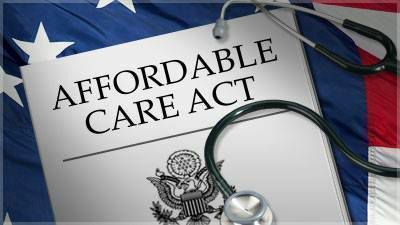 Not much can be done until the heads of the federal departments that oversee the ACA are officially appointed, according to Timothy Jost, a professor at Lexington, Va.-based Washington and Lee University School of Law. Mr. Jost wrote in a Health Affairs blog, "In sum, nothing happens yet, nor is it likely to happen until the heads of HHS, Treasury, and probably Labor, as well as the CMS Administration and IRS Commissioner are in place; even then it will take a while for changes to be put into motion." 2. The executive order could end the individual mandate. According to Mr. Jost's blog, the main way the order can undo the individual mandate is by creating new types of hardship exemptions from the penalty. If this were to happen, it could kill the individual insurance markets, which rely on healthy enrollees to help fund coverage for those with pre-existing conditions. Kellyanne Conway, the counselor to the president, told ABC News Saturday President Trump may stop enforcing the mandate. "[H]e wants to get rid of that Obamacare penalty almost immediately, because that is something that is really strangling a lot of Americans to have to pay a penalty," she said told George Stephanolopoulos on ABC's "This Week." 3. It could also expand Medicaid waivers under the ACA, giving states more flexibility in how they implement the law. In particular, the executive order signals "Section 1115 Medicaid waivers will be granted more liberally, but that was expected, and until they are changed, 1115 waiver regulations promulgated by the Obama administration will continue to apply," according to Mr. Jost. Section 1115 Medicaid waivers allow states to implement their own budget-neutral expansions of Medicaid and CHIP coverage and determine who and what the programs cover.